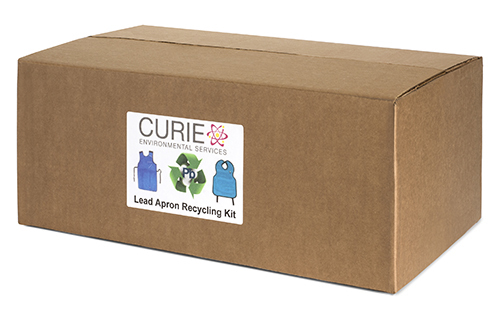 The lead apron recycling kit is designed for shipping lead aprons used for shielding radiation from medical/dental staff and patients. The kit includes the outer fiber box, packaging instructions, prepaid UPS ground shipping both ways and recycling. The lead apron kit will hold approximately 2 standard size lead aprons.